Remember last week when it was really cold outside? No, I mean it. Like, really cold? As in, lows in the 30s? I know it's hard to grasp, given that today's high is 80, but try your darnedest. And side note: Can you even believe next week is Thanksgiving?! WHAT?? Time, you are one crazy motha'. But back to the cold. 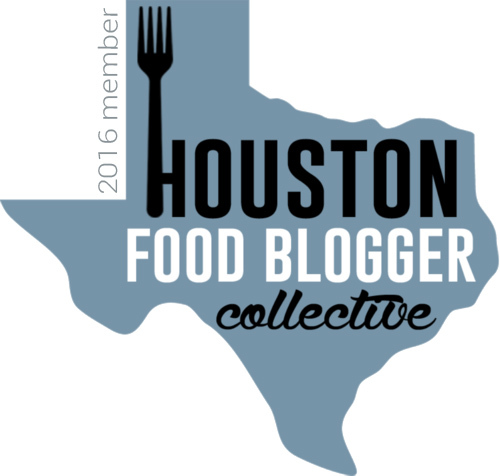 In the midst of experiencing the arctic tundra side of the temperamental Houston fall weather spectrum last week, I was in search of something that would warm my insides. Jason and I decided to meet up for lunch and test out the recent ramen trend at Soma on Washington. 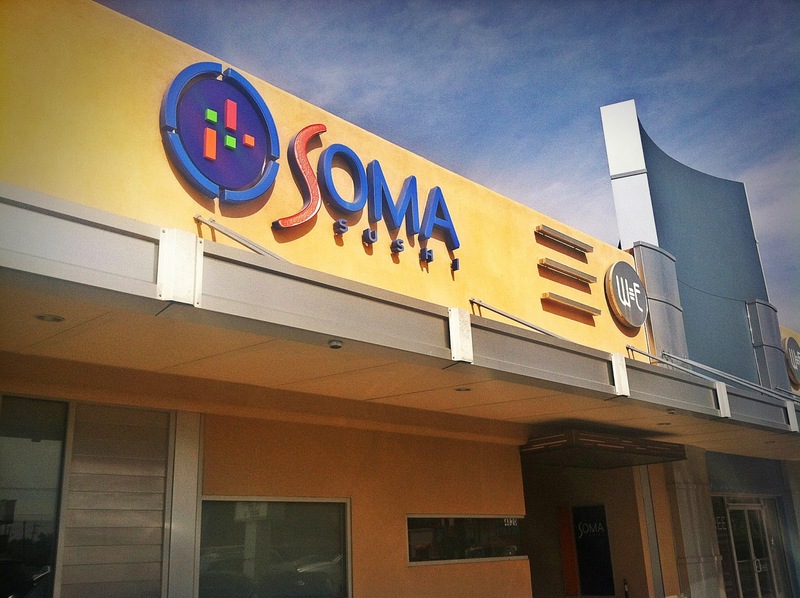 Soma is super nice inside. It's dimly lit, pretty, and massive. Actually, I was a bit taken aback by the interior, as the exterior is sort of odd. It's located in a strip that's trying its best to harken back to the Art Deco era of style. I was pleasantly surprised when I set foot inside the large oasis. 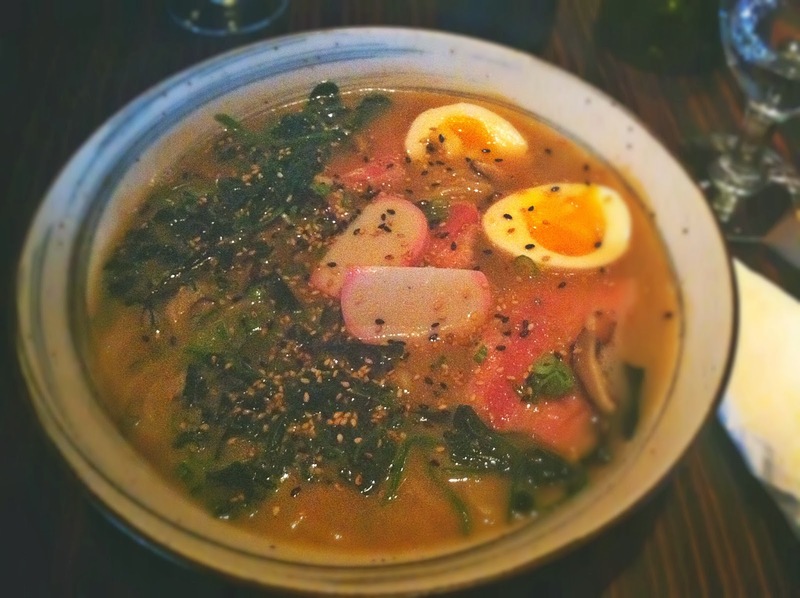 Determined to dive headfirst into this ramen trend and never look back, Jason and I both ordered the Soma Ramen. Now. I love things that are trashed up with a mod podge of completely different ingredients and treasures. The surprises can be endless! I also adore soup (I realize that's a strange thing to say). So for all intents and purposes, I should have fallen in love with this ginormous bowl of ramen. But I didn't. I did love several of the different components of it, and I can see how people do fall in love with it, so I am going to try to pick it apart as objectively as possible. First of all, the broth/seaweed base was divine. It was probably my favorite aspect of the soup. Salty, slightly tart, and simply delicious! I also loved the egg in there. The pork belly, while not my favorite pork belly (Le Cellier in EPCOT still reigns supreme), added a nice new layer of flavor. Mushrooms? Check. Noodles? Check. The fish cake however? That was the first time I ever ate a fish cake, and I was a bit turned off by its rubbery consistency. So while the majority of the main ingredients in the ramen were very tasty, it didn't all quite come together for me. I liked it, but I didn't love it. And I don't think this is due to the way Soma executed it; I think it's because I just may not be a ramen person. Fresh and beautifully presented, the salmon sushi was phenomenal. 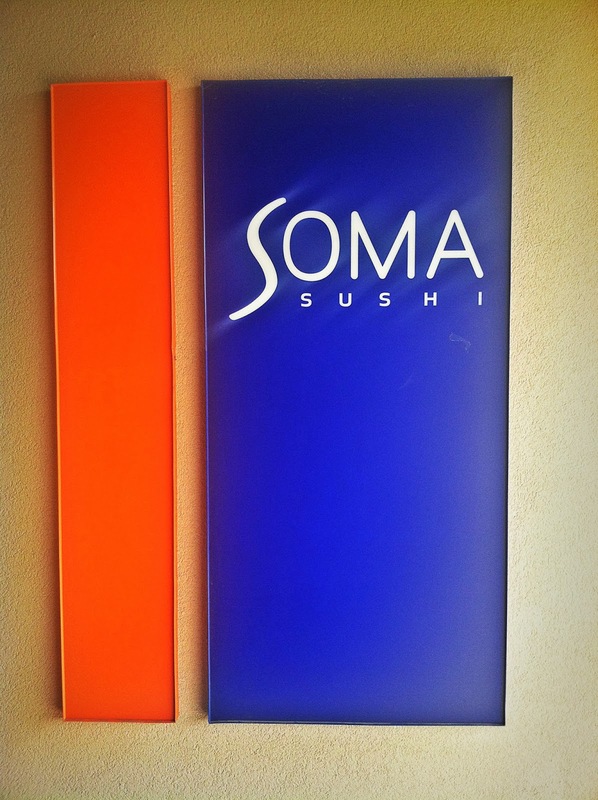 I definitely foresee a second visit to Soma where I'll indulge in more of their sushi offerings! And I do think that if you're a ramen person, this is a good place to go for it. But seriously, Thanksgiving. Next week. I can't even believe it, but turkey/green bean casserole/canned cranberry sauce/mashed potatoes/stuffing/pumpkin pie get in my belly NOW, sorry I'm not sorry. Harken back to art deco era = used to be an Eckerds. Omgosh I went there for a bday dinner once and we probably got about 20 rolls for the table. All so good. I don't remember what most of them were called, but Yelpers rave about the crazy Irish man and I remember that one being delicious! 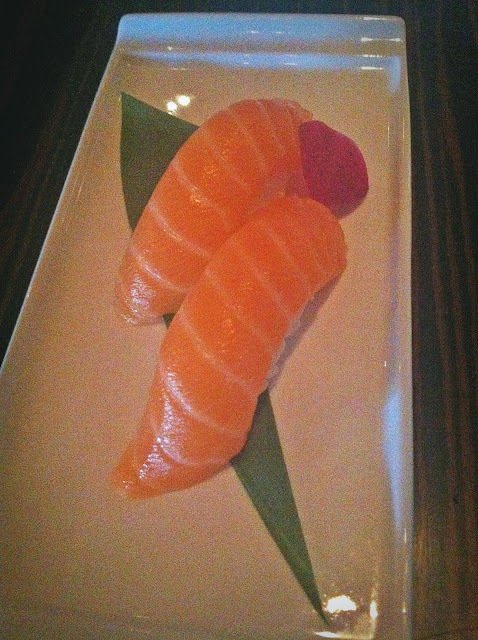 You should definitely go back for the sushi! Will do, thanks for the tip! 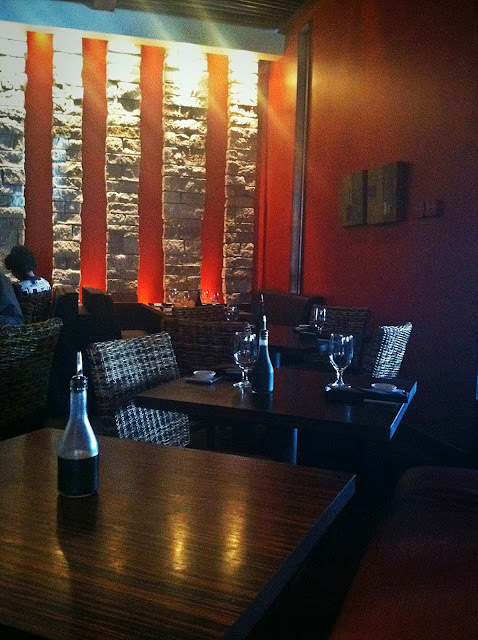 The little bit of sushi I had there was awesome, so I definitely want to go back!